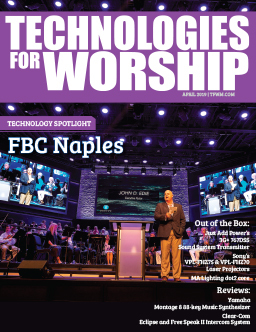 After seeing the FSR Eagle 200 Switching System at a recent ministry show, I requested a demo system from Glenn Collinge, the Regional Sales Manager for FSR for an upcoming event at my church. I put this switcher through the paces during one of the most well-attended weekends of our church year to rave reviews. I tried every video effect I thought likely (and some that were less likely) in the church environment to test the flexibility of this unit. It handled transitions between analog and DVI sources and effects with ease. Capable of taking a variety of inputs including analog composite, s-video, component, and RGBHV as well as digital inputs like DVI, SDI and HD-SDI, and mixing them, and outputting at standard or HD projector resolutions, the Eagle 200 by FSR fits into the category of presentation switcher. When I say “fits into the category of”, I really mean that it is strictly speaking a presentation switcher, but which offers the flexibility of many, more expensive, broadcast switchers. This is made possible through the Eagle’s innovative, layered architecture. This also facilitates effects previously unavailable in the presentation switcher market. The most useful among these may just be a highly sensitive color keyer and a flexible picture-in-picture feature (PIP) with true preview. Having just completed a service the previous week where we had a person outside of the building to show the location of an upcoming event, I even attempted what some local television news people call a “split box”. In that effect, two shots are composited in windows behind a graphic to create a transition between local and remote locations. To accomplish this effect in a live production environment usually requires both a switcher with at least one M/E bus and a video effects generator, although it can be done other ways. I really had no hope of accomplishing it without that hardware. The Eagle 200 was able to transition into the box effect without difficulty. The Eagle’s layered architecture made it possible for me to do things that many churches would need, much more easily. I was able to do a downstream key, (DSK,) to remove the black background in the signal I sent from our presentation computer and its worship software. The Eagle was sensitive enough to tell the difference between the black background and the dark grey outline and drop shadow I placed around the text. The result was beautiful, without leaving either tell-tale jagged edges surrounding the keyed text or removing too much from the text itself. The unit itself is housed in a stout metal three RU, rack-mountable enclosure with a monochrome LCD touch screen and illuminated buttons. The interface is fairly intuitive once you understand the layered architecture and its limitations. Many churches would probably be able to handle switching during most services with just the panel-mounted controls. The one caveat to this is if your church does frequent or full-service IMAG (image magnification). Features like a more broadcast-like control layout and the addition of tally-light output, make the optional controller virtually required for that application. Communication between the controller and frame only requires a Cat5 cable, which creates interesting possibilities. A director could have multiple control locations pre-wired with monitors and Cat5, taking the controller anywhere the situation dictated. For practice, you might want to be in the sanctuary to tweak shots and band placement. For a smaller service in the fellowship hall, take the controller to that venue and maintain control of other inputs like those still in the video booth. The Eagle 200 Controller is also capable of controlling other FSR devices like the Indie and Eagle 100 switchers. For added versatility, a compact flash card slot on the controller adds the ability to back-up settings. You can save one director’s preferred settings on one card and another’s director’s on another. You could also save settings for the Easter musical for next year and quickly restore normal settings with a default card. When training, don’t worry about changing settings because you have a back-up on hand. All of the 36 pre-sets can also be saved on this memory card as well. 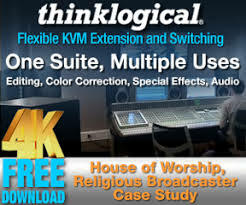 The controller also includes a heavy-duty joystick that is more similar to that of a production video processor than the small stick on many of the pro-sumer switchers that some churches use. Control is possible along the both the x and y-axis as well as via twisting the joystick for z-axis control. This combined with the true preview capabilities of the Eagle 200 make it simple to create the perfect PIP on the fly or to save it in memory for future use. This true preview functionality is a feature some might not notice, but that helps elevate the quality of production. It’s simple to create a complex effect in preview (like the split-box I mentioned above) and tweak any settings necessary to make it look as you desire before it’s seen by the congregation. The only limitations to this are those inherent in the two-scalar, layered architecture. You can, for example, take an active, scaled, full-screen layer and make it into a PIP while using the other scaled layer for something different or vice versa. This would be used for display of scrolling text, logos, and DSKs simultaneously. I’ve alluded to the layered architecture before, but it bears explanation because its inclusion enables video work that is more similar to network television than a corporate computer presentation. The bottom-most or “background” layer is composed of two DVI inputs that can be used alternately or together (as with each type of layer). These would normally be computer inputs, but could also be either a color matte or a still frame stored in memory. In the next layers, we find two scalars which may be assigned either one of eight universal analog or one of two SD/HD SDI (on the Eagle 200HD) inputs each. I should note that the number of analog or SDI inputs can easily be increased by the inclusion of an analog, DVI or SDI matrix respectively. The final layers are a down stream key and a captured Logo. The DSK input being a live DVI video source or a stored video frame. The top logo layer is one of the stored still frames that can be easily grabbed and stored in the unit. The way I describe it, it sounds like there are two DVI layers, but this is a bit of a misnomer as these layers share a total of two DVI inputs each which may only be used for one layer at a time. The DSK can be used with DVI input B, so background layer B would be either a background color or a stored still frame while the DSK is in use. Whether it’s composite, s-video, component, RGBHV or SDI, the re-syncing of these sources, as a different input is chosen, seems to me, quicker than comparable units I’ve used. I really enjoyed the quick response of the switcher to my button pushes. This enabled me to take shots more quickly than my church’s switcher allows. This ability, when used during a drama’s “party scene”, enhancing the excellence of our production by an order of magnitude. The ability for scaled layers to be synced using genlock and the astonishingly fast up-conversion process (which I’m told takes less than three fields, or 1.5 frames, to accomplish), place this switcher on my wish list. The power of the layered architecture necessitates that the appropriate layer be chosen before it can be edited. More than once, I found myself attempting to change the input in the scalar layer while forgetting that I had just added a DSK and had that layer still selected. The result was an error message telling me that I had to select the layer before attempting to edit it. Additionally, the omission of a fade to black (FTB) button, meant that I had to either leave the top most layer set to a black matte or switch to an unused input to fade out between service elements at the end of the service. Even with these limitations, the Eagle 200 surpassed my expectations. Features like those found in the FSR Eagle 200 don’t come cheaply, but considering that they are more akin to those found in switchers requiring expensive professional equipment and costing hundreds of thousands of dollars, this switcher is a great investment. 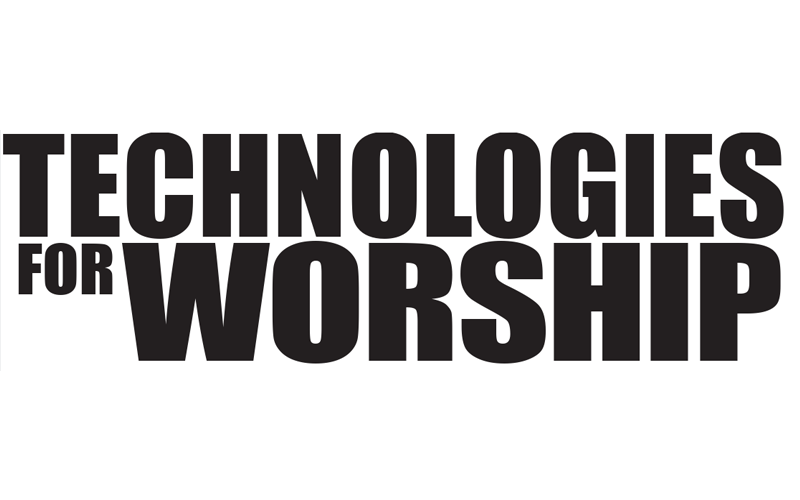 This value and versatility should place it on the list of options for any church looking to get into high-end live video production for display using the vast majority of projection technologies.